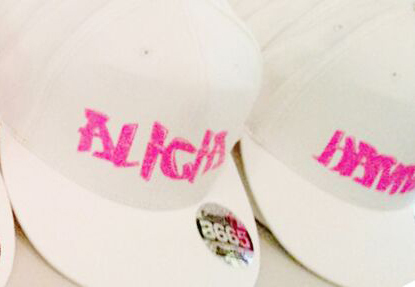 This customised basketball caps digital printing service offers high quality, designed and permanent graffiti caps, with on-site printing by the staff. They can also print with glow in the dark font. Customised basketball caps are perfect for corporate entertainment as you can get your company logo, branding or corporate images printed on the basketball caps, which your guests can take home as memorabilia. 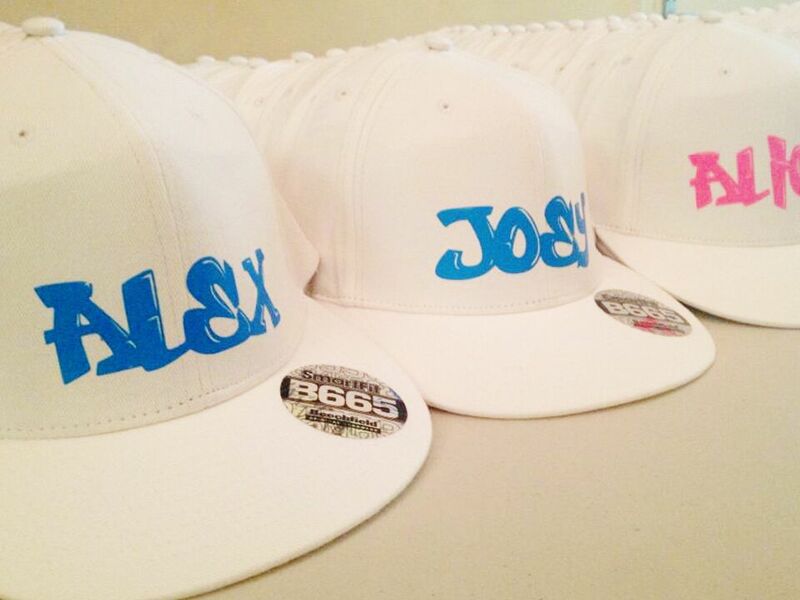 They can also be hired for private events where the basketball caps can be individually designed for that special touch. The customised Basketball Caps are great fun and a lovely souvenir to keep. I wanted to take the opportunity to thank your team for helping make our party held last weekend a great success. Can you pass on my gratitude to your 2 staff that worked very hard throughout the afternoon. Thank you for everything – the t-shirts went down a storm! Thank you so much for last night, I can’t wait to see the pictures and also for the Instapod and dunk it which was a huge success. I have to say a massive thank you!!! The social booth guy was really lovely and just got on with it and Jonathan was fantastic !!! !